If your smartphone, tablet, or even a Nintendo Switch is running short on memory, a quick purchase of a microSD card is all it takes to help you get comfortable as you have ample storage around to start filling up again. 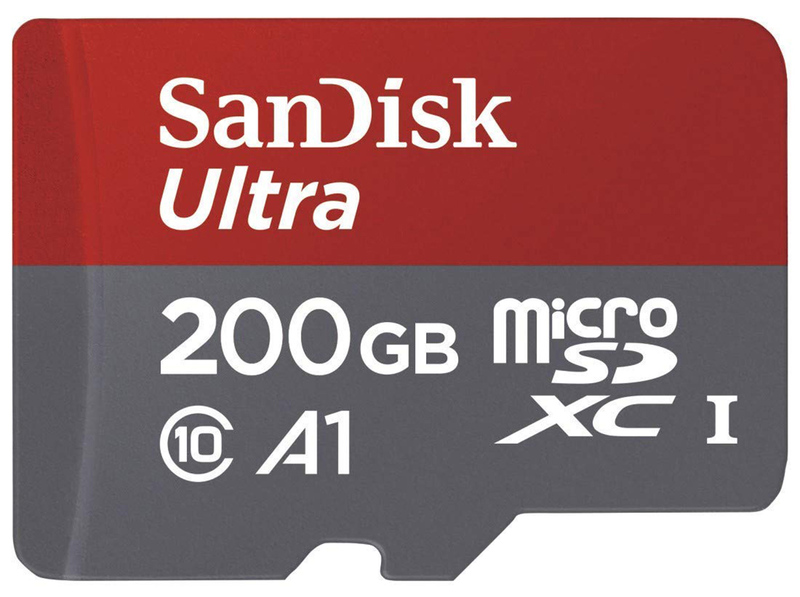 SanDisk has a 200GB microSD card which is discounted on Amazon at a killer price; something that your wallet won’t feel at all. With value-oriented smartphones featuring an accessible price for consumers, the latest discount running on Amazon will ensure that expanding your existing memory isn’t difficult on the rest of your expenses either. The SanDisk Ultra UHS Speed Class U1 and Speed Class 10 is recommended for recording Full HD videos, as well as playback in the same resolution. What is more important than the performance of a microSD card? Its reliability. SanDisk ensures that its Ultra line of microSD cards are shockproof, temperature-proof, waterproof, and X-ray-proof. The company also provides a 10-year limited manufacturer warranty to make sure that you have nothing to worry about. In addition to the 200GB storage card, there’s also a 400GB memory card that’s on sale for only $62. Keep in mind that these cards are limited to 1080p video recording, which is more than enough to get a high-quality result.